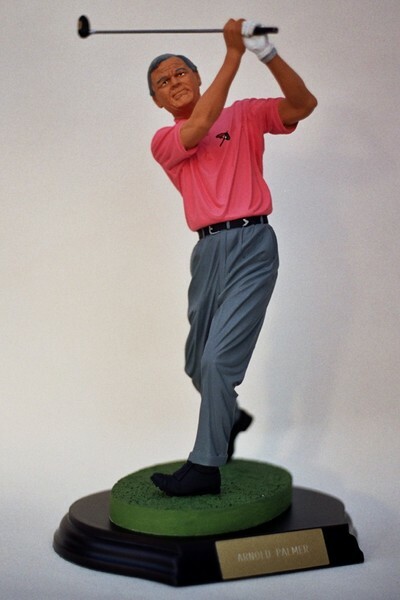 A superb figurine of golfing legend, Arnold Palmer. Arnold Daniel Palmer was an American professional golfer who is generally regarded as one of the greatest and most charismatic players in the sport's history. Dating back to 1955, he won numerous events on both the PGA Tour and the circuit now known as PGA Tour Champions. Nicknamed The King, he was one of golf's most popular stars and seen as a trailblazer, the first superstar of the sport's television age, which began in the 1950's.